Finding the right storage systems for your home can help you to keep it organized and free of clutter, which will not only improve the appearance of your home but will also make you feel better in it. With a lot of dirt and clutter, you can feel more stressed and uneasy in your home. Creating a clean space can make you feel more comfortable and relaxed. 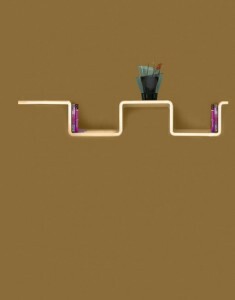 The floating wall shelves from Expand Furniture can be manipulated to take on just about any shape. 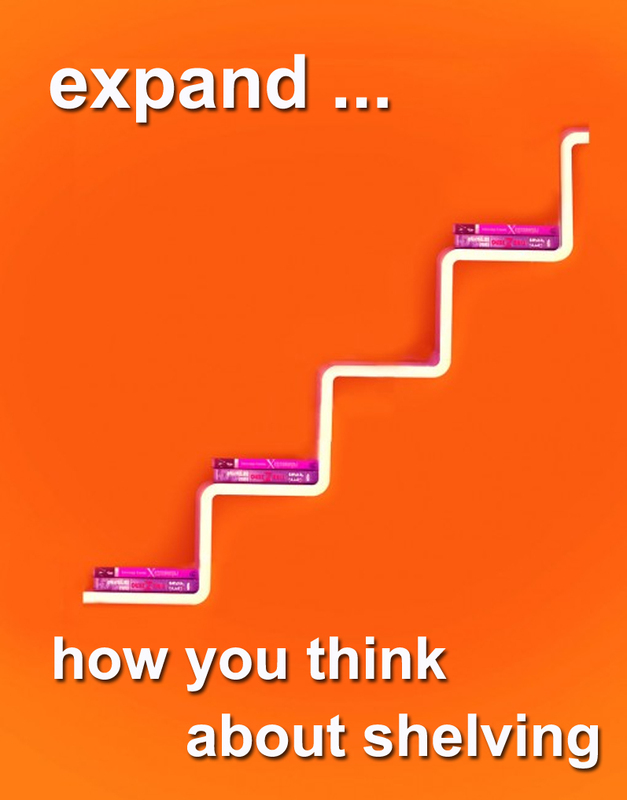 You can choose to create plain, flat shelves if you like, or you can reshape the shelves to take the form of small stair steps, an L shape, a W shape, a mountain shape, or an upside down U shape like a monitor riser. That flexibility allows you to create whatever design you want to fit your decor, as well as to create a shape that will fit hat you are trying to display. You can make the shelves the size you need them, and you can design them to show off what you have to display in the best light. You may feel intimidated by floating wall shelves, thinking that they will be hard to put together to create the shapes you want. But they are actually designed to be quite easy to use, no matter your skill level. The shelves are broken down into interchangeable parts, including the long shelves and the corners. You just screw them together in the arrangement you want. Modern design emphasizes clean lines and smooth surfaces. These wall mounted shelves have a sleek and contemporary design that fits in with any modern decor. There is no decorative trim, engraving, or other embellishment to distract. The shelves are stylish in their simplicity. The flexibility of this storage shelving isn’t limited to the design they can take. The shelves also come in a variety of finishing options. You can get the shelves in different colors to best match your decor. That finish is smooth and glossy for a nice look. Floating wall shelves don’t have to be mounted to the wall. They can also be assembled and stacked on the ground. 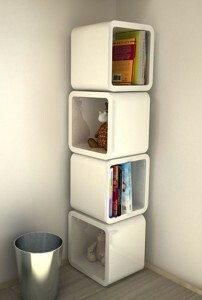 In fact, you can stack them on top of each other, creating a unique modular shelving system. You can put together as many of the units as you like to stack, or you can stack some and mount some to create a unique system. You can also use these shelves as monitor risers for your computer or for other individual storage options on your table top. Use a shelf or two to display special knick knacks, candles, plates, or more. 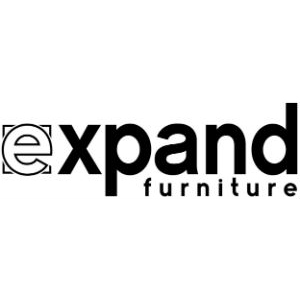 The floating wall shelves from Expand Furniture are high-quality and durable. 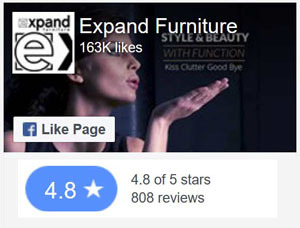 They will last for many years, offering you the same level of performance the whole time. The shelves are water-proof and stain-resistant, so you don’t have to worry about them becoming damaged if you spill something or if your roof leaks. You also won’t have to perform a lot of maintenance to keep the shelves in top shape. You can just wipe them clean of dust and spills to keep them looking great. Floating wall shelves offer the stylish storage solutions you need. 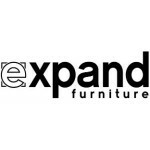 Explore our catalog at Expand Furniture to get gorgeous wall mounted shelves and to find other storage solutions for your home. 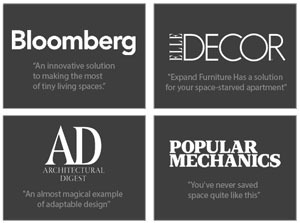 We sell a variety of space saving furniture, such as hidden beds, transforming tables, folding chairs, and more. By investing in these pieces, you can reduce the clutter in your home and maximize the space you have. You’ll create a more beautiful space, and you’ll free up floor room to get the functionality you need in your home. If you would like more information or have any questions, please contact us.